Looking for a great book to explain the water cycle to children? Try Water Is Water: A Book About the Water Cycle by Miranda Paul and illustrated by Jason Chin. It is a beautiful picture book that relates the water cycle to familiar objects and activities. 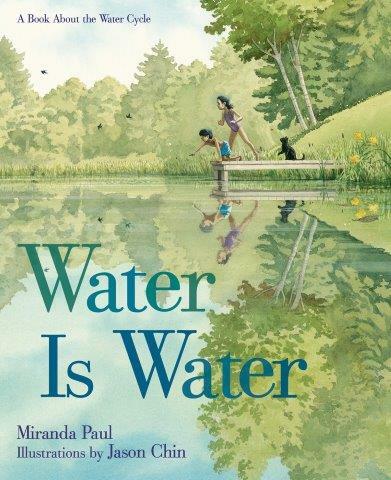 Miranda Paul’s spare but engaging story arc goes from familiar (getting a glass of water) to less familiar (forms of water/weather) and then returns to drinking water again (familiar). Award-winning author and illustrator Jason Chin’s paintings of children doing everyday activities help bring the young reader in, as well. A two page spread in the backmatter helps children learn “More About Water.” In this case, the pages explain the vocabulary of the water cycle, from evaporation to seepage. Pick up a copy of Water is Water to share with children ready to learn the basics of the water cycle. 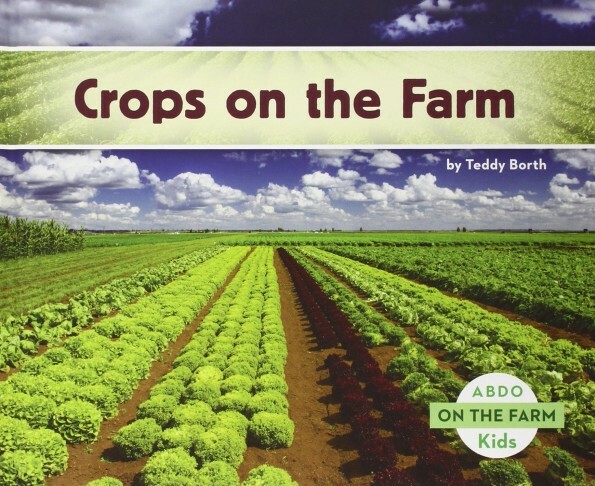 Perfect for young readers who prefer their nonfiction to look and sound like fiction. Sue reviewed this wonderful book back in June. 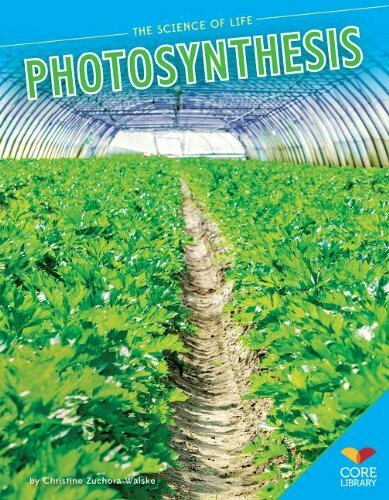 At Growing with Science we are featuring three books about water nominated for Cybils Awards in 2015, including Water is Water. Categories: Science, STEM Friday round-up | Tags: Water is Water | Permalink. created by Fingerprint Digital Inc. According to the website MineMum, a sandbox game is one where players create a game themselves by manipulating the world within it. 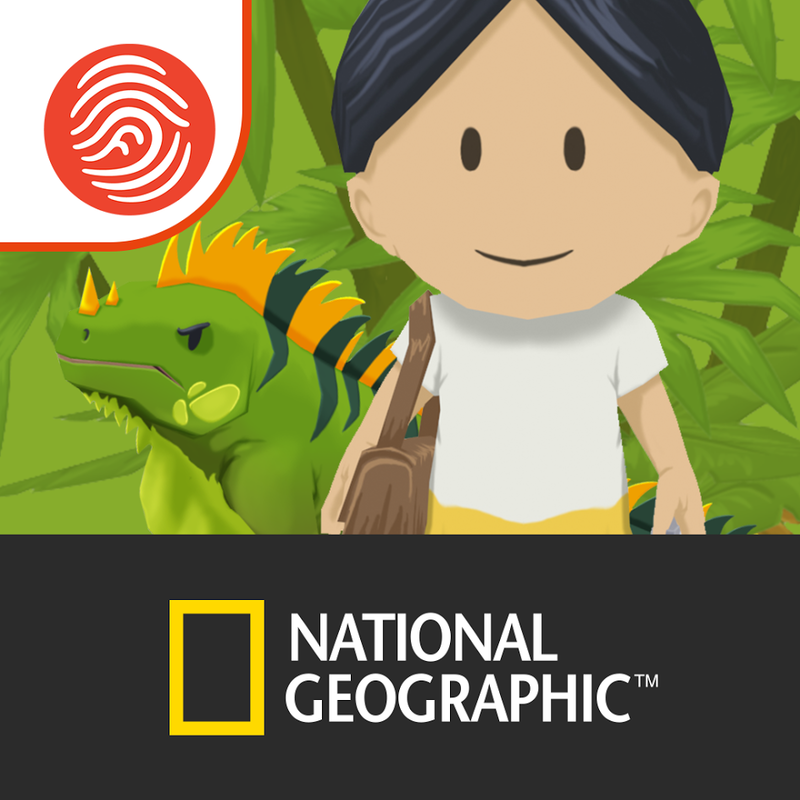 National Geographic’s Puzzle Explorer is a new app where players can create mazes in different geographic settings. You can download it here. My daughter and I created mazes and played on already built mazes in the Yucatan Peninsula and Antarctica. I will warn you that this is addictive. In Antarctica, the goal is to collect three cameras located in different places in the maze. You travel across ice blocks (see below). The tricky part is not all of the maze is connected. Players have to manipulate blocks of ice and giant snowballs to create new pieces of the maze that can be crossed. Each camera contains informational text with a photograph background. When you have collected the cameras, you win the game. Using this app was a lot of fun! You have to really think to develop a strategy to meet your goal. I like the combination of informational text and game-playing. Mazes can be shared between players which brings a social aspect to the game. Try out the free version and if you like it, you can complete your app for $2.99 with settings for the Himalayas, the Nile River Valley, and the Australian Outback. If your child/student is going to have screen time, give them something that will make them think and create. As they are creating, players will be learning facts about each of these places in the world. This makes the app a way to introduce these geographic locations. Speaking of geography, you could also use this app to talk about land forms. I think this app would be good for ages 6-12. 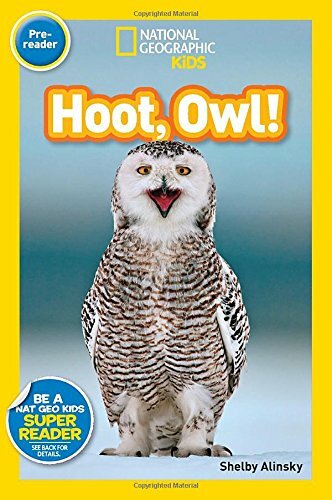 Over at Archimedes Notebook I’m reviewing a trio of early readers from National Geographic Kids. This is one of the early leveled readers, intended for preschoolers. Instead of a table of contents, the first page has a “vocabulary tree”. It reminds me of a classification, but in this case it’s a list of words beginning with: animals. Under that: Snowy Owls. Then on one side a list with words related to Where they Live (snow, cold) and on the other side, What they Do (swoop, glide). Hop over to Archimedes Notebook to check out Red Pandas and Ugly Animals. At Wrapped in Foil this week, we are featuring picture book biographies. For STEM Friday let’s take a look at Small Wonders: Jean-Henri Fabre and His World of Insects by Matthew Clark Smith and illustrated by Giuliano Ferri, which delves deeply into the life of one of the first naturalists who explored the insect world with a scientific eye and at the same time wrote with the goal of sharing his insights not only with colleagues, but also with essays written for regular people. Rather than following strict chronological order, Smith starts out by creating an air of mystery around the eccentric old man who lives in a small village in France. He then flashes back to the man’s childhood and his intense curiosity in the natural world around him. Using rich descriptive language, Smith captures Fabre’s fascination with the “small wonders” around him. Circling back, Smith finishes with Fabre as an elderly man again, now receiving great honors for his unusual life’s work. The rich, lush illustrations are delightful, with insects to find and discuss in every one. 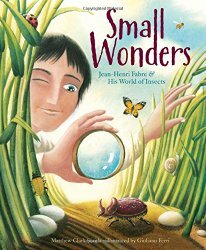 Small Wonders will intrigue budding naturalists, particularly entomologists. It might also appeal to almost anyone who felt at times that they don’t really fit in. Categories: STEM Friday round-up | Tags: Small Wonders | Permalink. Instead of books I’m looking at lichens. They’re an odd lot, these crusty-looking aliens that I find around my yard. They look sort of greenish and make their own food using sunlight, but they don’t have flowers or leaves or roots. So they’re not plants. They’re also not just one thing, but instead are a composite of two organisms: fungi and algae. Usually the algae is sandwiched in between layers of the fungi. 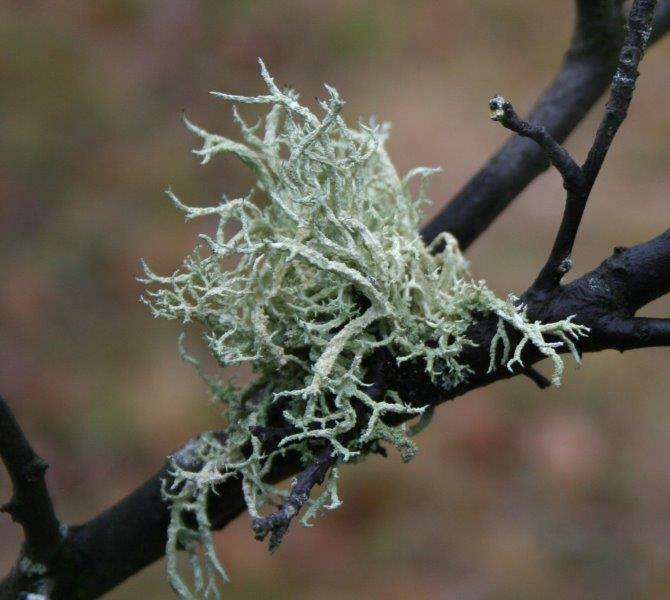 Lichens have a symbiotic relationship – both organisms benefit. The algae make food, and the fungi provide the structure and help retain moisture. And they come in all sorts of shapes and colors, from orange crusts on rocks to those that are having “bad hair days”. Head on over to Archimedes Notebook – you might be surprised to discover where you’ll find lichens in your life. for that we give thanks.